Okay, so I'm pretty excited about having stumbled across this photo. That's the Red Lion Inn – one of the very first buildings anyone ever built in Toronto. You come across it pretty often while you're reading about the early history of our city, but it's so old — and was torn down so long ago — that it never occurred to me there might actually be a photo of it out there somewhere. It was on east side of Yonge Street, just north of Bloor. When it was built in 1808, our little town of York was still only 15 years old, far away to the south, just a few muddy blocks along the shore of the lake. The inn was built by one of Toronto's earliest settlers, Daniel Tiers, who seems to have come here as part of a group of mostly Germany immigrants. You hear a lot about those Germans when you read up on Toronto's early history too. They were promised free land in return for clearing Yonge Street out of the forest, from Eglinton all the way up to Lake Simcoe. They built the road, but never got their land, screwed over by the racist, rich British folk who ran our town back then. When Tiers first built his inn, it would have been surrounded by an immense wilderness, an oasis in the middle of a forest thousands of years old. There were still wolves and bears in these parts back then, bald eagles and deer and foxes and flocks of passenger pigeons so thick they could block out the sun. But things changed fast. And even though it was well outside town, the intersection of Bloor and Yonge, with Davenport Road nearby, was already an important crossroads on the way down into the tiny new capital, where government business, the St. Lawrence Market, and a port to the rest of the world were waiting. Before long an entire village had sprung up around the Red Lion. They called it Yorkville. 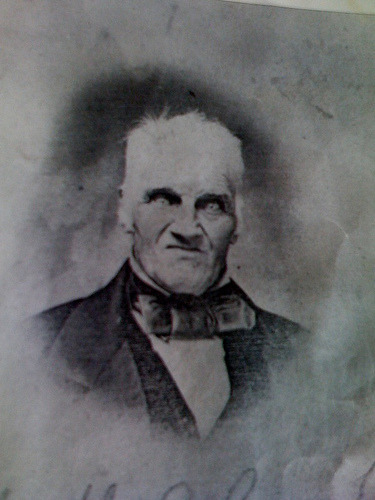 The settlement was founded by Joseph Bloor (who owned a brewery nearby and was extremely scary-looking) and our very first sheriff, William Botsford Jarvis (whose country estate, Rosedale, was just across the valley and who would play an important role in defeating William Lyon Mackenzie's famous rebellion). Soon, the picturesque little village was functioning as an early suburb of Toronto, with people living there, but working downtown. And so, by the mid-1800s, our city had gotten its very first horse-drawn bus line. It was founded by a cabinet maker, who had the carriages made in his cabinet-making shop. Every ten minutes, another coach would leave the Red Lion Inn heading down Yonge Street into the capital. A couple of decades later, they were replaced by Canada's very first streetcar line. The Inn was also, like most places where you could get drunk, an important meeting place. 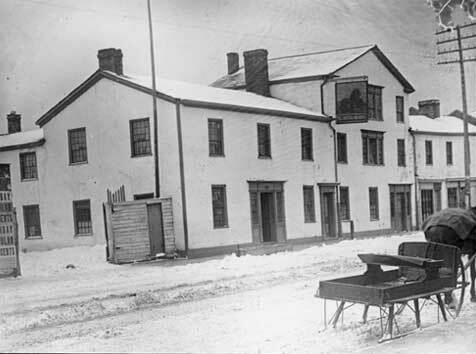 They say that in the lead up to that famous Rebellion of 1837, William Lyon Mackenzie's supporters would gather at the inn to plan their attack. And when Mackenzie had been undemocratically kicked out of parliament by the democracy-loathing Tory Party, it was at the Red Lion Inn that he was immediately re-elected — an important moment in the struggle to make Canada a true democracy. Yorkville carried on as a quiet residential village of Victorian homes until the 1880s, when it was finally officially swallowed up by the city of Toronto. Nearly a hundred years later, in the late 1950s, those same homes would be converted into the smoke-filled coffee houses of our Beatnik scene — where poets like Margaret Atwood, Dennis Lee and Gwendolyn Macewen got their starts. Before long, the Beats gave way to the hippies and those coffee houses were turned into rock 'n' roll and folk music clubs, home to the likes of Joni Mitchell, Neil Young and Gordon Lightfoot. It wasn't until the late-'60s that the authorities decided to "eradicate" the scene, driving the hippies out to replace them with the high-end boutique shopping district that dominates Yorkville today — one of the most expensive retail strips in the world.